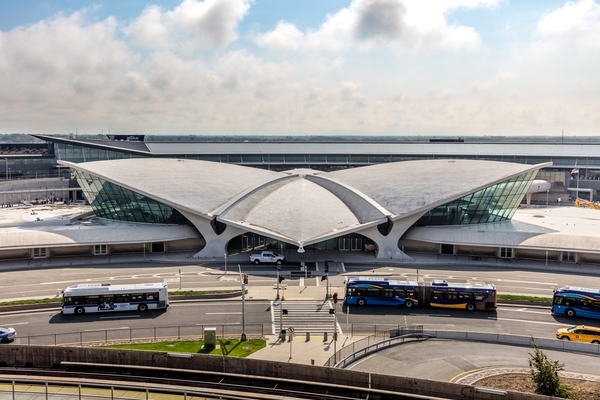 TWA Hotel has been dubbed one of the “hottest hotels” opening in New York City this year, which is shocking when you consider it’s an airport hotel. 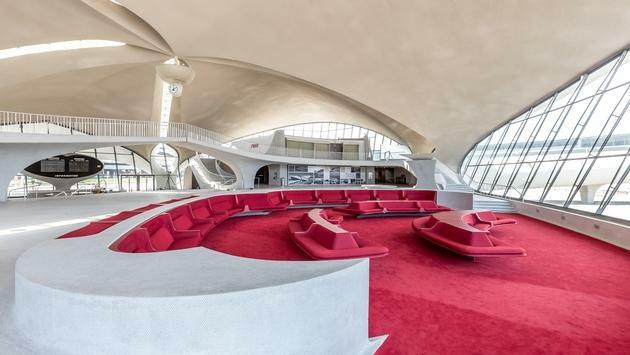 Located at New York’s John F. Kennedy International Airport, the TWA Hotel will begin making reservations at noon on Valentine’s Day for stays starting on May 15, 2019, and onward. TWA Hotel was once the TWA Flight Center and served the TWA airline from 1962 to 2001 when the airline went out of existence. Developer MCR Development renovated the property into a classy hotel, making it the only one available at JFK Airport when it opens. The hotel, which looks like it was plucked from “The Jetsons,” will have 512 rooms and rates that start at $249 per night. 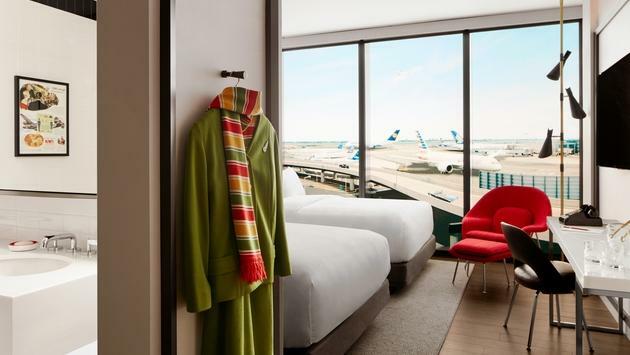 Rooms will feature custom-built minibars stocked with high-end alcohol and views of JFK’s runways. They are even outfitted with glass curtain walls by Fabbrica, the second-thickest in the world. The windows have seven panes of glass and are four and a half inches thick, ensuring that guests won’t deal with runway noise. Throughout the property, guests will admire a midcentury modern design in the lobby, six restaurants, eight bars, and coffee bar. Guests have plenty of dining options, as well as a rooftop pool and a 10,000 square-foot gym. TWA Hotel will even have event space, a ballroom, and retail outlets on-site, serving more than just transiting travelers. While most guestrooms will have views of the runway, travelers won’t want to miss out on a chance to visit the rooftop observation deck and watch planes as they come and go in one of the busiest airports in the U.S.
Take note that reservations for TWA Hotel, which begin on February 14, will focus on overnight stays, though the property plans to offer shorter day stays for JFK travelers who need a few hours to rest, shower, use the Wi-Fi or hang out until their next flight.